While there’s nothing wrong with a bit of elbow grease, it’s always nice to be able to put your feet up and let the work be done for you. In fact, when it comes to arthritis, old age and disability, automating chores and other tasks can be downright necessary. Thanks to advancements in technology and mass manufacturing, the number of devices you can buy to help around the home or when you’re on the go is always on the rise. Whether it’s keeping the house clean, organising things or even driving, there’s probably some device that can help make it easy or do the whole task for you! We decided to take a look at some of the interesting gadgets (some old, some new) which are helping to take the chores out of living so we can focus on the good stuff. 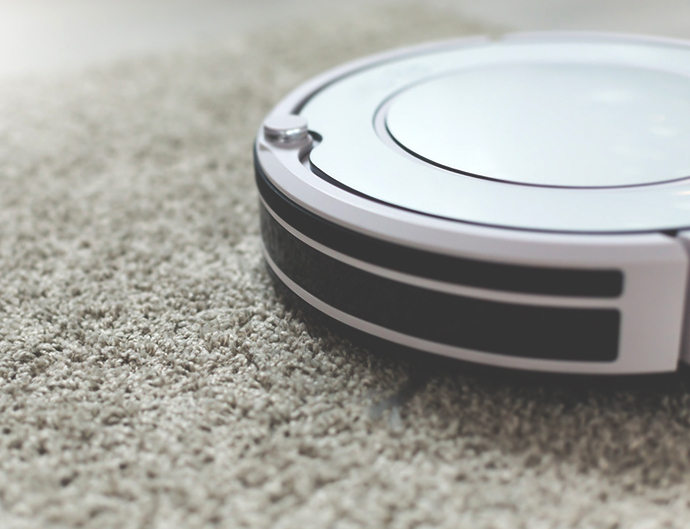 Let’s start off with a well-known one – robot vacuums have been around since the early 2000s and there’s a good chance that you’ve already heard of a Roomba or a similar device on the market. The concept is simple: just charge it up, pop it on the floor and let it putt about the house, picking up dust in its wake. While they’re not so good for a thorough clean, they do help significantly with keeping things tidy, especially in homes with pets. 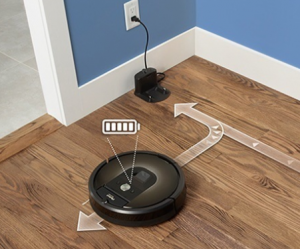 Robot vacuums have come a long way compared to their zig-zagging, furniture-bumping predecessors; the latest models come equipped with 360-degree cameras and sensors to map your home’s layout for the most efficient vacuuming. If they’re close to running out of power, they’ll even find their own way back to their station and plug themselves in (although the occasional robot may still need rescuing). Staying within the family home – have you ever looked at a pile of clothes and just thought “Mm, no.”? An automatic clothing folder is typically a specialised machine that you can only find in a factory. 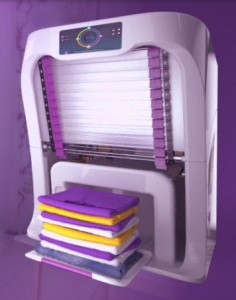 American company FoldiMate aims to change that with their device of the same name, which will bring a smaller clothes-folding unit into your home laundry. The price is expected to be a little on the steep side and it’s not available for purchase yet (pre-orders start later in 2017) but it’s still pretty neat (literally). Not only will it spit out a nice stack of perfectly folded clothes but it will also give each garment a quick once-over to make sure it’s wrinkle-free. FoldiMate is investigating an alternative solution to steam for de-wrinkling in order to avoid corrosion. You can watch a short video about how FoldiMate works on YouTube. It’s not just chores that can be automated! Self-driving cars have been a hot topic for a number of years now and the Australian Government expects “level three” self-driving cars (that means a human driver will still need to take control in certain conditions) to be on the road by 2020. 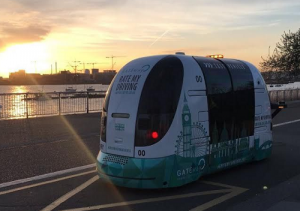 A trial of driverless shuttle buses recently completed in Greenwich in the UK and there’s already talk about how automated vehicles may impact the taxi industry. If they can create more public transport services operating in wider areas, we’re pretty keen! While ‘smartphone tasks’ are one of the less glamorous fields which have seen advances in automation, they’re worth mentioning – especially when you consider important functions such as backing up your data or filing copies of your receipts. 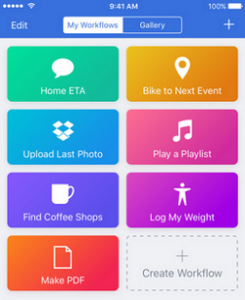 Workflow is an iPhone app that can whittle down useful functions and repetitive tasks to just a few quick taps. There’s a whole gallery of Workflow functions and Apple recently acquired the app and made it free, so if you have an iPhone, we recommend you download Workflow and try playing around with it. If you’re an Android user, you may be interested in a similar app called Tasker. Any parent will tell you horror stories about long nights spent trying to get fussy babies to go to sleep. The SNOO Smart Sleeper is a baby bed that recently made waves at the CES 2017 tradeshow. It comes fully equipped with a swaddle system to keep a baby safely on their back, plus sensors to trigger white noise and a gentle rocking if the baby starts fussing. 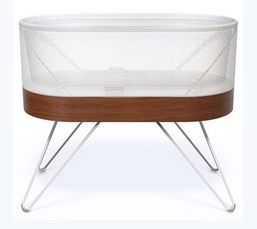 The price is pretty eye-watering (about ten times the cost of a regular cradle or bassinet) and the warranty is void if used outside of the USA, so parents may prefer to get a simple sound therapy machine instead. What can’t you wait to see be automated? Tell us in the comments. Please note that FoldiMate will not be using steam. We are working on an alternative technology to remove wrinkles and we want to find an alternative to steam in order to avoid corrosion. Thanks, I’ve edited the article accordingly.